The charity welcomes applications from registered charities and other institutions. Grants are awarded to organisations serving children who are disadvantaged in some respect. Causes that have previously received funding include educational projects, holidays, care and respite, health and well-being, sport, play and leisure. Grants may also be awarded to charities supporting adults with learning difficulties. Recent awards have ranged from one-off donations to project-related grants for 2-5 years. During the year ending 31 December the Charity considered 304 new applications (2014 - 278), of which 36 were approved (2014 - 29), representing a 1 in 9 (11%) likelihood of success. In the same period the charity approved grant awards totalling £415,599 to 60 organisations. A full list of awards previously made by the Charity is provided on its website. Applications may be made at any time in writing to the address provided below. For further information about the Barbara Ward Children’s Charity, visit its website. 3 SET will facilitate a course Managing an EU funded project: An introduction to EU Project Management. The aim of the course is to equip third sector project managers and delivery staff with the skills and tools needed to effectively manage a European funded project. The course will take place on 23 March at CAIS in Colwyn Bay. Target group: Staff from third sector organisations who will be involved in managing EU Structural Funds projects, either as a direct sponsor or as a sub-contractor. o Innovative projects and causes not able to attract regular funding. Grants up to £3,000 are available as one-off payments or for seed funding. Occasionally grants up to £5,000 are awarded. During the year ending 5 April 2016 the Trust awarded grants totalling £45,800 (2015: £54,950). o Quaker work and witness. o Medical research or services. Applications may be made online via a relatively short and straightforward application form. For further details, visit the Trust's website. If you'd rather submit an application in Welsh, you'll need to download the appropriate application form below and send the completed application to mail@cfiw.org.uk. Learn about the opportunities available to your business, community, farm or other enterprise through the Welsh Government Rural Communities – Rural Development Programme 2014-2020 and other sources. Get help with preparing for the next Expression of Interest application windows and tips on how to submit funding bids. No need to book in advance, Scheme presentation times will be published on the Wales Rural Network Web Pages. The Beatrice Laing Trust offers grants to registered charities working throughout the UK. The Trust aims to fund projects concerned with the relief of poverty or distress, particularly those relating to children, and the advancement of the evangelical Christian faith, both at home and abroad. UK based charities, Christian organisations and organisations providing opportunities for training and development to young people may apply for a grant of between £1,000 and £5,000 towards the capital cost of a project. The Trust can award grants up to £25,000 and makes a number of awards at this level each year. There is no requirement for match funding. Funding is focused on the relief of poverty and the advancement of the evangelical Christian faith at home and abroad. Grants are generally awarded on a one-off basis for capital purposes such as the purchase or construction of new premises, building extension, redevelopment or refurbishment, or the purchase of equipment and vehicles. Most other grants are directed towards specific projects which will meet a clearly defined and demonstrable need within the applicant charity’s beneficiary/client group which cannot be met from statutory sources. A reasonable level of management costs to cover overheads may be included when submitting a project budget. o Small-scale overseas development projects aiming to build the capacity of local partners to develop long-term sustainable solutions to local problems in countries in the developing world. o Church restoration or repair (including organs and bells). o Arrangements for monitoring and evaluating the project; and o A copy of the charity’s most recent annual report and audited accounts. For further information about the Beatrice Laing Trust - as well as the other Laing Family Trusts - visit the Laing Family's website. The PRS Open Grants programme is intended to help support, sustain and promote the growth of the new music infrastructure in the UK. o To inspire audiences UK-wide. o Non-music organisations including local authorities, museums, etc. To be eligible for funding organisations must be based in the UK. Organisations may apply for up to £10,000. The Foundation prefers some match funding to be in place. Administration costs relating to the project can be funded to a maximum of 10% of the total budget. A maximum of £5,000 can be used towards recording costs. Projects must involve the creation, performance and promotion of new music and enable songwriters, composers, artists, bands and performers of all backgrounds to develop creatively and professionally. o Projects involving the creation, performance or promotion of new music by living, UK-based music creators (e.g. a commission, residency, education project or tour). o Concerts, record launches, gigs, tours, installations, festivals and promoters which feature a significant programme of new UK music. o Application form checking, prior to submission (however, applicants can email PRS with specific questions). Applications must be made via the online application form on the Foundation's website. Applicants successful at Stage One will be invited to complete a full Stage Two application. o Promoting the effectiveness and efficiency of charities and the effective use of resources by the provision of advice and support in relation to information technology. o Helping to re-engage those currently excluded from society. During the year ending 31 December 2015, the Charity awarded grants totalling £107,181. Awards ranged from less than £5,000 to £17,800. There is no requirement for match funding. 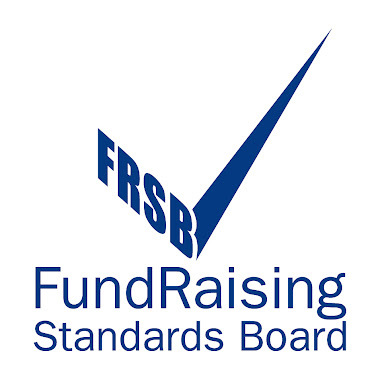 Registered charities, educational establishments, and other organisations with a formal not for profit constititution that are located in the UK are eligible to apply. The Charity is often able to add value to funded projects by offering Pro-Bono IT Consultancy to organisations. o Focus on outcomes which can be formally evaluated. Applications may be made at any time via an application form that can be downloaded from the Charity’s website. The Children Today Charitable Trust provides specialised aids that are designed to improve and enhance the lives of children and young people with disabilities, helping them to become as independent as possible and to reach their potential. o Communicate with stakeholders to develop and sustain relationships. No minimum or maximum grant amount is specified by the Trust. During the year ending 31 March 2016, the Trust awarded grants totalling £143,975. Grants are for equipment for individuals only. Groups or schools are not eligible to apply. Applications may be made at any time and must be made by the individual, a parent or legal guardian. Potential applicants are required to contact the Trust prior to making an application to discuss eligibility. For further information and details about how to apply, visit the Children Today website. A further Expression of Interest window opened in February 2017. Grants are primarily aimed at LEADER Local Action Groups and other community-based organisations. Improvement or expansion of local basic services. Village renewal and public amenities. For support towards drawing up development plans and protection and management plans, the maximum grant contribution will be no more than: 50% of eligible costs. A minimum limit of grant of £400 will apply. For support for studies and investments for maintenance, restoration and upgrading of cultural and natural heritage, the maximum grant contribution will be no more than: 50% of eligible costs. A minimum limit of grant of £400 will apply. For facilitating the supply and use of renewable sources of energy, of by-products, wastes and residues and of other non-food raw material the maximum grant contribution will be no more than 80% of the total eligible project costs. A minimum limit of grant of £2,400 will apply. For small-scale infrastructure investments the maximum grant per project is £128,000 towards a total project cost of £160,000. A support rate of 80% of eligible costs will be provided. Businesses, public and voluntary, community and social enterprise sector organisations in rural areas of Wales may be eligible to apply. A new round has opened with applications invited via Expressions of Interest by 31 March 2017. The Ministry of Defence has launched the Armed Forces Covenant Fund’s Local Grant scheme for 2017 with new guidelines. Applications will be accepted throughout 2017 and will be considered four times over the next 12 months. Bags of Help – The community grant scheme from Tesco - applications sought! Groundworks administrate this grant scheme on behalf of Tesco's. They would like many more groups from Powys to apply! Groundwork is working with Tesco to encourage voluntary or community organisations, schools, health bodies, Parish/Town Councils, local authorities and social housing providers across Powys to apply for a grant of up to £5,000 to improve green spaces and increase community participation. More information is attached. Please call Geraint Hughes at Groundwork North Wales on 01978 757524 for more information and to discuss if your project will be eligible. Which are volunteer-driven and have no more than one full-time equivalent member of staff throughout the year. The closing date for applications is the 31st July 2017. Do you have an outdated or non-existent website? Non-profit organisations in the UK can now apply for a grant of £18,000 to build or redevelop their website. The grants are available under the 2017 round of Transform Foundations Charity Website Grant Programme. They are most suitable for non-profits with an annual turnover of between £300,000 and £30 Million, although organisations outside of this range may still apply. Transform Foundation is also developing a number of other grant programmes for 2017, including one to fund the development of apps and mobile websites.